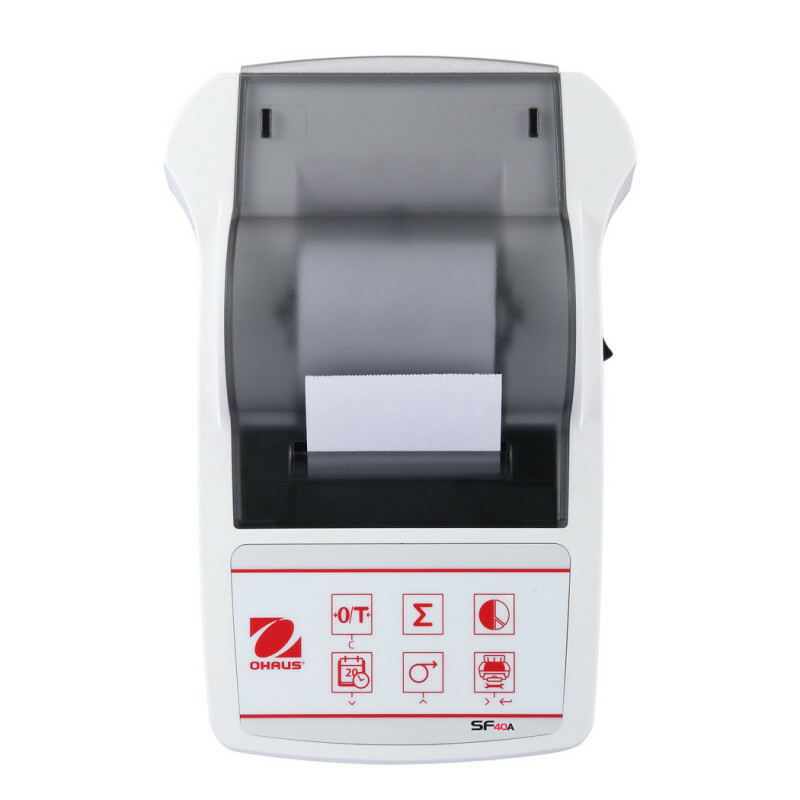 The SF40A combines high performance and multiple functions to offer OHAUS quality and durability in a portable printer. 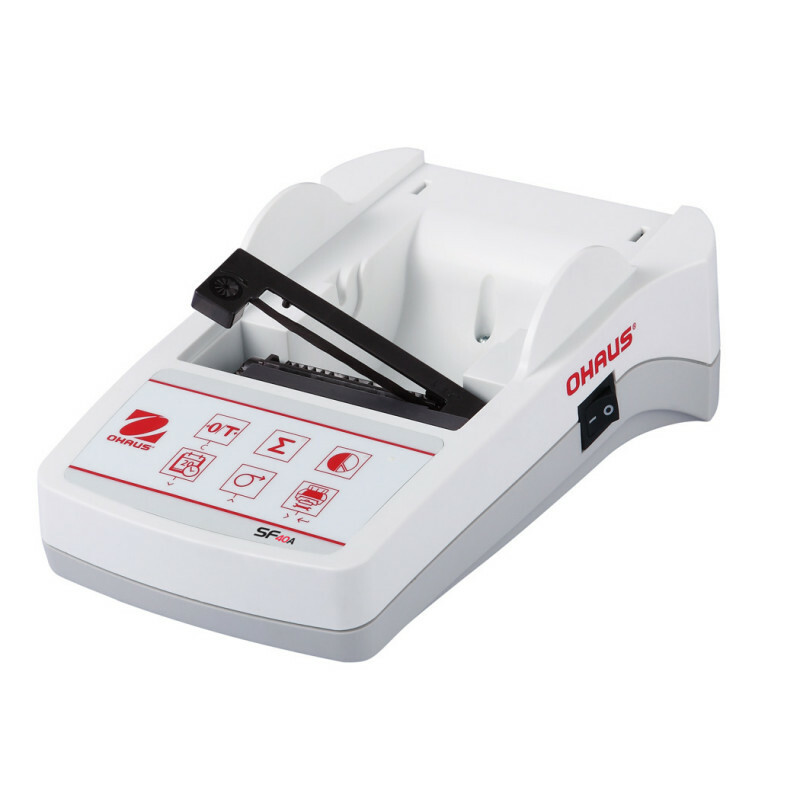 This versatile printer is ideal for use in conjunction with OHAUS balances and scales in laboratory, industrial, and educational applications to ensure accurate documentation of weighing results. 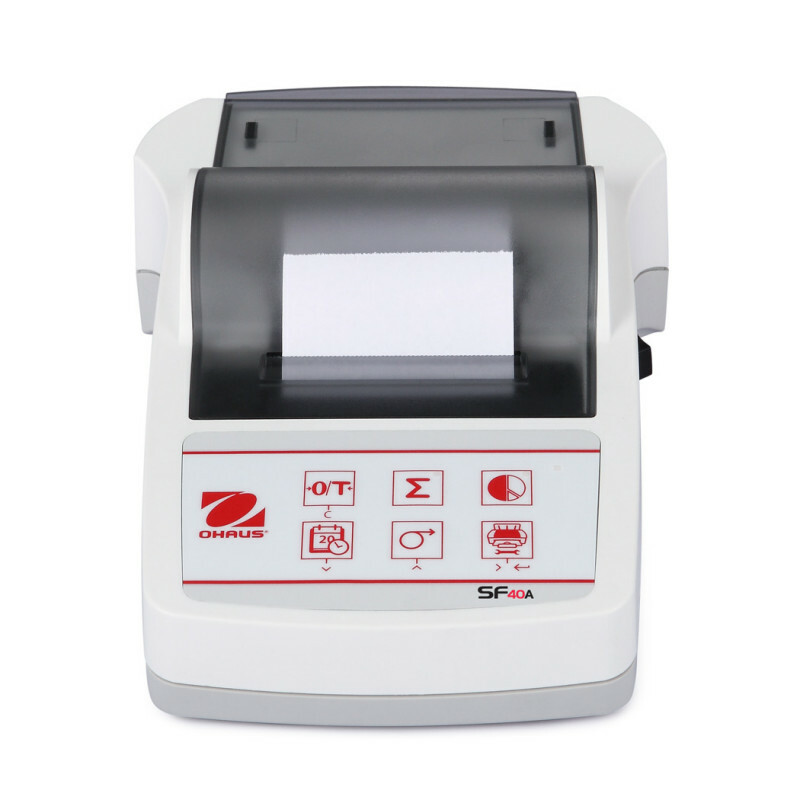 Multiple Application Modes and Features Support the Data Reporting Process - SF40A is equipped with statistics and totalization modes that provide additional functionality that is of use to your weight determination and reporting processes. 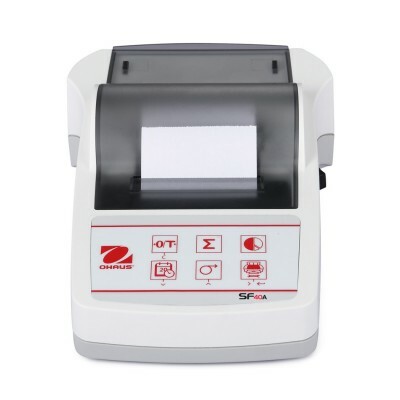 SF40A also offers a real-time clock feature that includes the date and time on printouts. 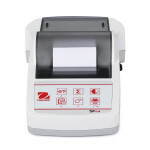 A battery backup system ensures that the date and time data are accurate. Easy Setup And Configuration Eliminate Wasted Time — Don’t let your printer inhibit the efficiency of your weighing process. 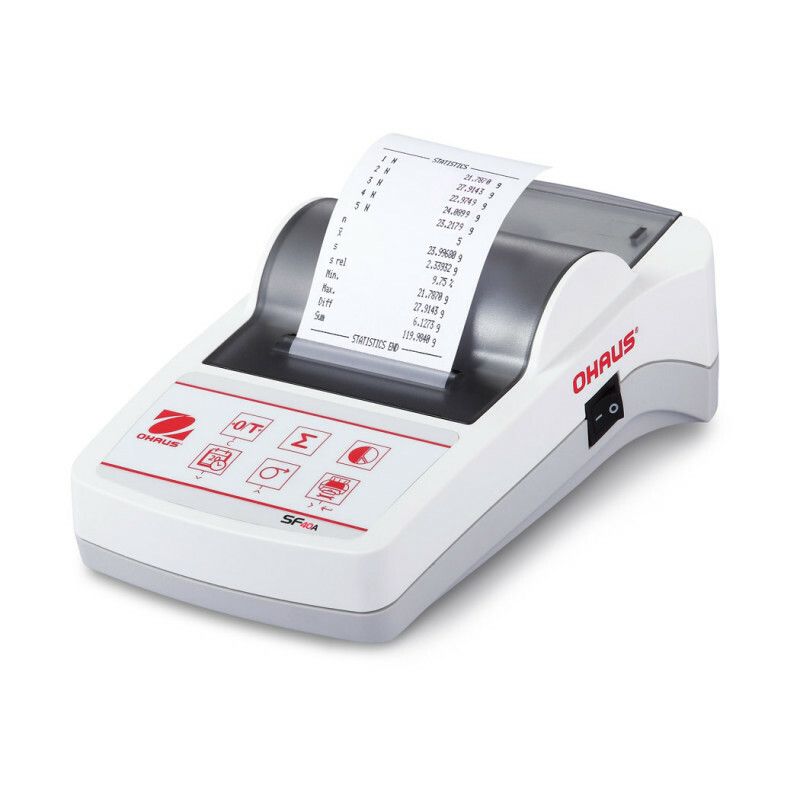 OHAUS balances and scales improve productivity and increase throughput and SF40A provides the same benefits in order to keep your job on track and get it completed as proficiently as possible. PC configuration software makes connecting the printer between balance or scale and computer a fast and convenient process and also makes setting up date, time, and baud rate hassle-free. RS232 with GLP/GMP data output can help meet traceability and compliance requirements.